A most enjoyable function took place in The Grand Hotel, Fermoy on Friday evening, February 1. 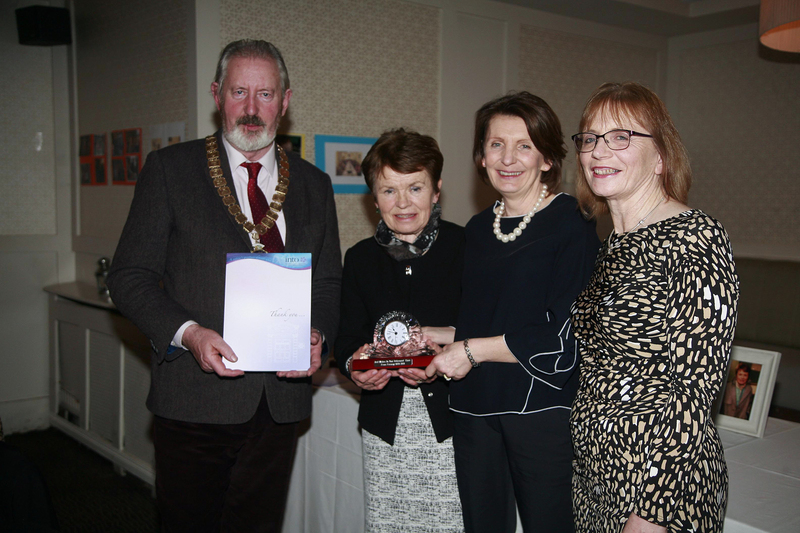 Hosted by the INTO (Irish National Teachers Organisation), the event marked the formal retirement of local teachers: Anne O’Sullivan, Clare Bryan, Maeve Tobin, Mags Sheehy, Marian Ui Shionnaigh and Sile Ni Mhuimneachain. Special guest, INTO president Joe Killeen, acknowledged the contribution these women had made to teaching and wished them well for the future. A retirement cake was cut and presentations were made to the ex-teachers – tributes from colleagues were also made. MC for the event was principal of Scoil Bhride National School in Rathcormac, Margaret Howard. Margaret thanked everyone involved with the retirement party. She said it was a pleasure to be associated with such committed individuals who had devoted so much of their lives to the teaching profession. Margaret also acknowledged the contribution of staff at The Grand Hotel.